Mano a Mano was incorporated as a nonprofit by a group of volunteers in Minnesota with the goal to collect surplus medical supplies and equipment for a Hospital in Bolivia. Until 2004 everything in the US was done with volunteers; supplies were sorted in the basement and stored in tents in the backyard. In the first year 3,000 pounds of supplies were collected. Everyone thought this was a huge amount at the time! 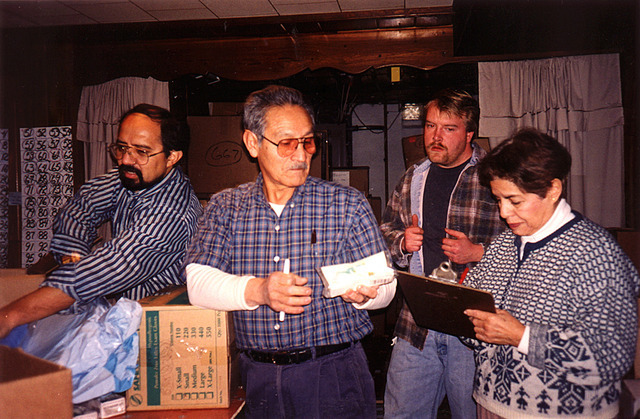 With the help from a dedicated volunteer who sold surplus wine glasses from Northwest Airlines, money was raised to build 2 clinics in Bolivia. 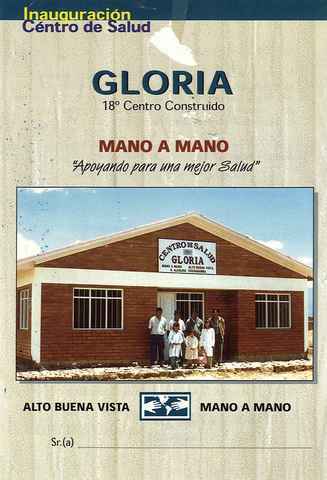 The first two Mano a Mano clinics - the "Gloria" clinics named after the volunteer who raised most of the funds - were built in Bolivia. Mano a Mano - Bolivia, our sister organization in Bolivia, was incorporated as a nonprofit. 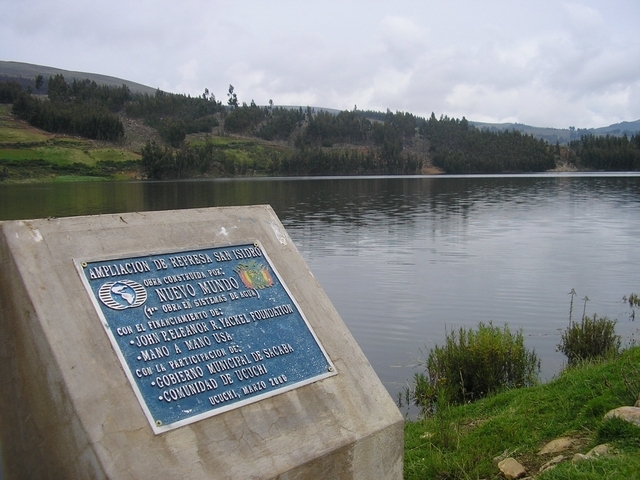 Until this time all the work in Bolivia was done by volunteers, and friends and family members of the Velasquez family. In addtion to clinics, Mano a Mano begins to build schools, teacher housing, and community bathrooms to address more of the components that affect the health and well-being of the community. Our second sister organization, Nuevo Mundo ("new world" in Spanish), is incorporated. Where the focus of Mano a Mano Bolivia is on health projects, Nuevo Mundo will focus on road and water infrasturcture projects. Mano a Mano completes its first large water reservoir project in Ucuchi, Bolivia. Mano a Mano's third sister organization, Apoyo Aereo ("air support" in Spanish) is incorporated. 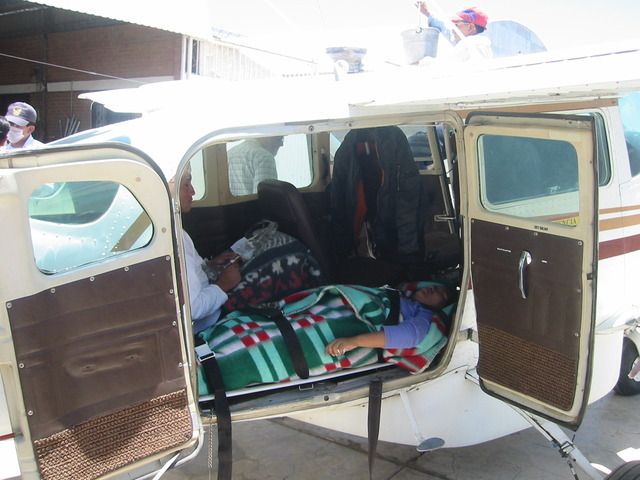 Using our plane, Apoyo Aereo's focus is emergency air rescues from rural areas to city hospitals and for transportation for Mano a Mano staff and volunteers to distant locations. Due to increasing demand, Mano a Mano purchases a second airplane to be able to more efficiently respond. Doctors and nurses from Regions Hospital in St. Paul, MN travel to Bolivia to provide a continuing education course for Mano a Mano medical professionals. The course was so successful that it was repeated in December 2009 and opened up to any medical professional in Bolivia who wished to attend; over 300 came. 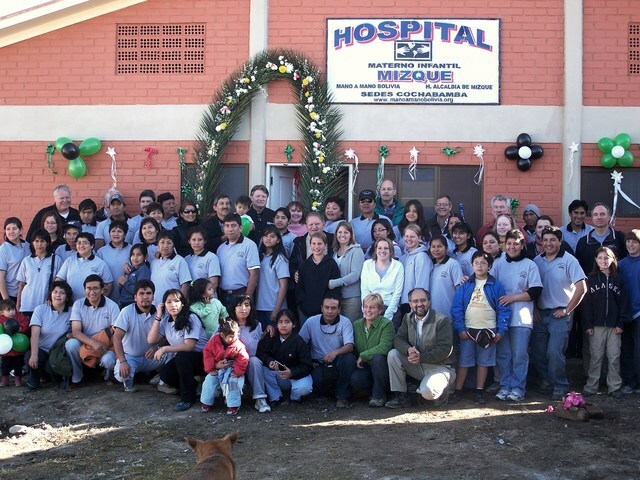 Mano a Mano dedicates its 100th community health clinic in Mizque. From 2000-2009 there were more than 2.2 million patient visits to Mano a Mano clinics! Mano a Mano sent a shipment of 67,000 pounds of medical supplies to Bolivia, putting us over 2.5 million pounds shipped since 1994. Most years around 200,000 pounds were sent, which went to equip and supply Mano a Mano's rapidly expanding network of clinics and also distributed free of charge to other organizations and individuals throughout Bolivia.